27th October 1970; from the late 1950s to the mid 1960s, it was common for original cast recordings of successful Broadway musicals to find their way up near the top of the pop album charts. Hit shows like West Side Story, The Sound of Music and Funny Girl, among several others, all spun off million-selling albums during this era, but by the late 1960s, the pop album charts had been decisively taken over by rock. It was in this environment that a young British composer and his lyricist partner managed to achieve a massive success by precisely reversing the old formula. On this day in 1970, Andrew Lloyd Webber and Tim Rice, who would go on to become the most successful composer-lyricist team in modern theatre history, released a double-LP "concept" album called Jesus Christ Superstar, which only later would become the smash-hit Broadway musical of the same name. 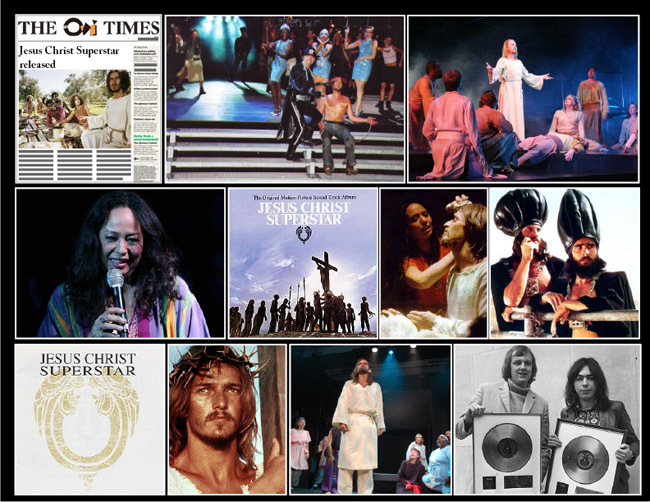 Jesus Christ Superstar was the third musical written by Lloyd Webber and Rice, following on The Likes of Us, which was staged for the first time in 2005, and Joseph and the Amazing Technicolor Dreamcoat, which saw only limited performances in various English churches between 1968 and 1970. Superstar grew out of Tim Rice's long-time fascination with Judas Iscariot, whom he conceived not as a craven betrayer of Jesus, but rather as a dear friend struggling with the implications of Jesus' growing celebrity. Although the musical would later find broad support among leaders of liberal Christian churches, it was nevertheless too controversial to gain the financial backing necessary for a stage production. Lloyd Webber and Rice therefore chose to package Superstar as an album first.